The only show me the money to be made in Hollywood today is in Superhero flicks. The Days of Wine and Roses are gone replaced by spandex and CGI. Even a devoted Marvel Man like me is getting tired by the regurgitated clunkers that have been produced recently. Margot, naturally, cut her teeth in Neighbours. That soap opera has produced more studs and mares than the Darley Arabian. 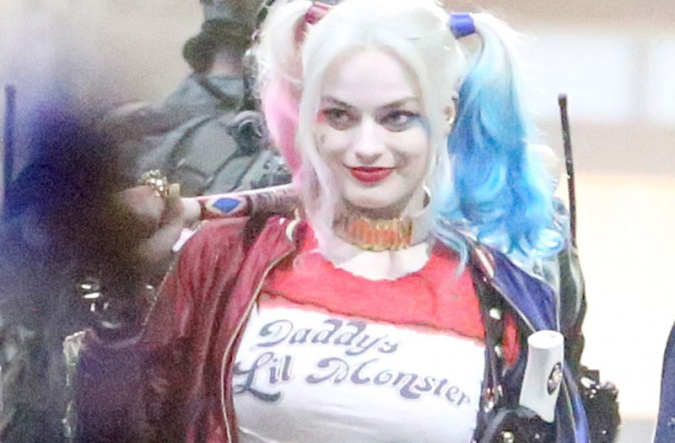 Here’s a wee photo of Margot as a super baddie. Can’t say that movies do it for me any more I much prefer tv series where there is time to tell the story and develop the characters. Just finished watching ‘Bloodline’ on Netflix, great stuff. The Americans ? And a good comedy series is Rake made in Oz but no worse for that. Have heard good things about Rake. Unfortunately, I’ve not got Netflix. Netflix is only £6 a month. You can watch it on your computer, tablet, smartphone or tv if it has the facility or you can get a set top box with streaming enabled. Or are you ‘out of range’ ? There is a Netflix option on the “Players” and On Demand list. Trouble is I’ve got tons to watch on the hard drive and finding time for more “stuff” is difficult. Need to de-clutter some of the weaker Sky/terrestrial programmes from my viewing habits. But some habits are hard to break. For instance, I’m addicted to old episodes of The Streets of San Francisco (CBS Drama/Freeview). The plots are not too bad for its time but my real interest is in the guest stars. Some of them household names, others only in their own household. Always the bringer of good news, J. If you were a Superbaddie you’d be The Prophet of Doom. Basic Netflix was still £5.99 this morning although there are other slightly more expensive options. One advantage is that you don’t have stuff cluttering up the hard drive. There’s amazon and apple tv as well. Jazz. Yes! The Aussies crank out great stuff. Rake is masterful TV. Must see. Also, Cloudstreet (based on the novel). And if you missed it, from a few years back … SeaChange. Previous Previous post: The Revolting Jock Caviar Producer.